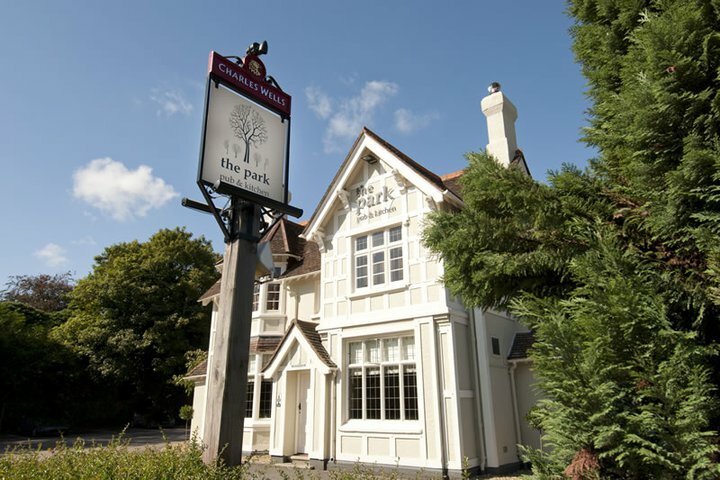 Built in the 1900's, The Park pub & kitchen is just a stone's throw from Bedford Park on the outskirts of the town. Beautifully refurbished with its fireplaces, flagstones floors and beamed ceilings, the pub is stylish, cosy and comfortable. With a traditional wrap-around bar, spacious restaurant and relaxed conservatory, The Park boasts a light and airy garden room which leads out to the urban garden (a fantastic place for dining in the summer with heaters provided for the other unpredictable months). Very friendly and great service. Considering the exorbitant costs of burgers these days, I was happy to see you didn't charge the earth for what was a very good burger. One of the mains was unavailable and the chicken supreme didn’t come with any veg so was rather a small dish for the price. £23.90 for a bottle of Zinfandel is steep. Service was good overall. Lighting in booths a bit intrusive if you are trying to talk to people across the table. Very accommodating and helpful team, we had a great evening with good service. Would definitely come again. Party of 4 - Sat eve. Yet again (5th occasion) very disappointed with the food. Cold soup starter returned. Un-eatable vegetarian pasta dish returned (was told watery, lumpy “sauce” was pesto and that’s how it was supposed to be??). The restaurant is the closest to where we live and we would be more frequent visitors if you could get the kitchen sorted out. Food and wine were excellent including adjustments to dishes to account for allergies. Our waitress was simply superb. Service and atmosphere was good. Steak was Fantastic, the curry was dry and over cooked. Thanks Park team! Our once a month breakfast get together is always something we look forward to, and the Park is a great place to hold it. Lovely room, tasty food and friendly service- not easy when you've got 20 of us to deal with but it's always achieved. See you next month! We were very pleased with the food, atmosphere and the kindness people showed at this dad time. We had a great time and although it took a while to take our order, the service after that was very good. Also the waitress serving us seemed to get grumpier with us throughout the night, we only politely asked a couple of times where our food/drinks were (which I think is perfectly reasonable considering we waited so long). We only tipped £1 in the end which is generous considering the poor service. It’s a shame because I have eaten here on serveral occasions and have never had a bad experience. The food was nice, but service was appalling. I appreciate it was busy last night, but I do not expect staff to insult my friend behind her back just because she speaks with a well spoken accent. Unfortunately I wasn’t aware this had happened at the time (one of my friends who witnessed it told me after we’d left). If I had been made aware I definitely would have complained to a manager about it! Really not acceptable! Although service was initially a bit slow, once our orders were taken everything happened in reasonable time. Food was wonderful and such great value on the brunch as Prosecco offer, this should definitely stay!!! Overall a great meal out and we will be returning! My Father and brother went for a meal at the Park for the first to time years, we all had rump steak and we were all very pleased with our meals, my dad went as far to say that it was the best steak he had eaten in a long while. The staff were all very friendly and nothing too much trouble, even when I thought I'd lost my car keys. Would definitely recommend them and we will certainly be back. 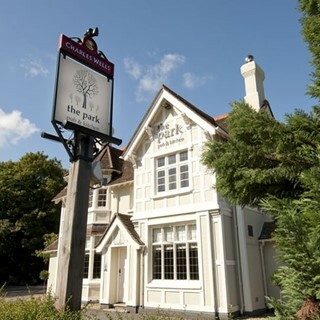 The Park is my go-to restaurant because I can rely on the quality of the food and wine, the service and the atmosphere. Never had a disappointing evening there. Very good. Excellent with children. Firstly we arrived 5 mins before our booking and were told to wait in bar and waiter would come and get us ina few mins. Waited 20 minutes and we then asked about our table as thought we had been forgotten. When food arrived (Sunday roast) we asked for condiments, these did not come so asked same waitress again, no apology and again had to wait too long to receive. In the meantime our meal is getting cold. We had a very nice meal and evening at The Park. The menu had plenty of choice and the portion sizes good (especially the Fish and Chips!). The staff were very attentive, friendly and helpful. We have made this a regular visit to The Park. A great place for brunch and lovely, friendly atmosphere to bring out group along. Thanks, Park crew! A very pleasant evening with very nice food and efficient waiter service. No issues, thank you. We had such a great evening here with friends on New Years Eve and made a return visit.. All the staff are friendly and efficient and on both occasions we were particularly well looked after by Kit our waiter and the restaurant manager. Had Sunday lunch for nine people, good service and food, very enjoyable. Waitress was expecting us and gave us a choice of where to sit as the restaurant was relatively quiet. She was very attentive all evening and very personable. I liked the option of having tapas as a main and was very pleased with my choices. Whether we would have had the same experience if the restaurant had been busy remains to be seen but I will certainly return.